One of the differences with last year’s Gift Guide is that I planned to broaden the range of recommendations. Of course, we all love reading and books but there is some great bookish stuff out there too that, at least I, enjoy almost as much as good book. Some of those things are movie adaptations, bookish movie adaptations. Do you like them? Adapted from Howards End by E.M Forster. Review here. This movie adaption is incredibly faithfull to the novel. It is so, so English: Emma Thompson and Helena Boham-Carter make great Schlegel sisters and their interpretations evoke the same feelings the characters do in the book. Review here. Adapted from the Harry Potter series by J.K. Rowling. I never finished the Harry Potter series, but die-hard fans love the movie adaptations as much as they love the books. For what I’ve seen, Daniel Radcliff has an uncanny resemblance to the Harry described in the book. Plus, I’ve heard they share the same birthday. Could it get any better? Adapted from The Lovely Bones by Alice Sebold. I decided to read the book before watching the movie after reading Rachel Weisz was starring on the movie adaptation (she is one of my favourite actresses). Peter Jackson creates a Heaven and a state of mind for the main character that is contagious to the audience. Tears will surely roll down your face, but at the end, there will be hope. Adapted from The Constant Gardener by John LeCarré. Another Rachel Weisz pick, both the book and the movie changed my life: they made me realize how lucky I am to live in Europe, have two heatlhy, caring parents and access to any medical treatment. It also made me ashamed of being European and how we tolerate the pharmaceutical testing in Africa. Adapted from Cranford by Elizabeth Gaskell. Review here. Winter is perfect to curl up in bed with a good blanket and a BBC adaptation. I don’t know how they do it, but they always create cozy, warm film adaptations and so long that they can allow you a relaxing evening. Cranford is such a warm novel in itself that this adaptation (although mixed with other Gaskell’s stories) has to be the perfect gitf. Nice list! (I have to admit I’ve only seen the Harry Potter movies and The Lovely Bones, and I haven’t read the latter book. The movie was good, though!) They all sound really good. I didn’t know Helena Bonham-Carter is in the Howard’s End adaptation! Now I must read it and see the movie! I only watched the 1933 Little Women adaptation with Katharine Hepburn and loved it. I can’t wait to be done with the book and watch the one with Winona Ryder. 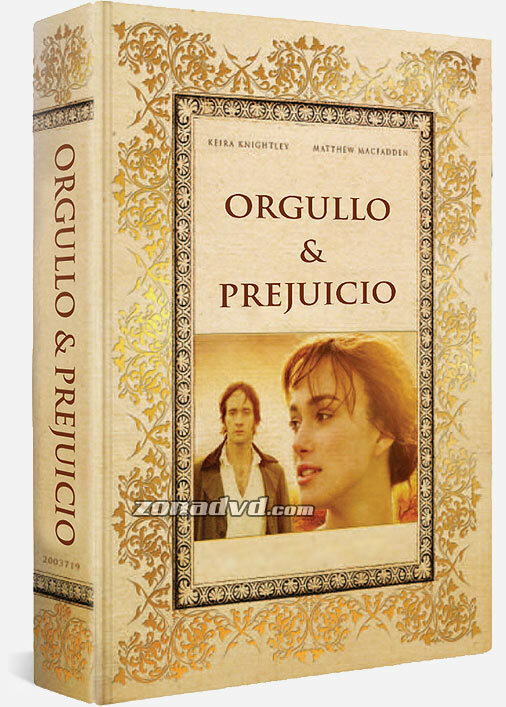 The Pride and Prejudice 2005 is great too, I have a bookish special edition (a St. Valentine’s Day gift :P). I don’t even know what The Pricess Bride is about although I’ve heard lots of people talk about it as a childhood classic (and they all love it too). I haven’t seen the 1933 Little Women adaptation! I should look it up. The Winona Ryder one is fantastic. Ooh, what’s in the Pride and Prejudice special edition? It seems like a perfect Valentine’s gift! I can’t speak for the book, but The Princess Bride is a very funny, romanc-y, action-y book. Even though it has romance at the center, it’s not a chick flick; my boyfriend likes it as much as I do! This is my P&P edition: it is a box that resembles a book and inside you can find the DVD and a little production book. I wrote a paper on the 1933 movie. It is a long one, not the average 100 min film you get nowadays but Hepburn is great (I’m a big fan). Every James Ivory film is a feast for the eyes. As for the Princess Bride I strongly recommend the movie instead of the book. We re-read the book in a readalong and I found it rather lengthy and, um, dare I say it, boring. But the movie is just brilliant! I agree with what you say about Ivory. I’ve been a great fan for years. I remember being 12 and seeing The Golden Bowl almost in a loop because I knew I wasn’t fully understanding it. I’ll be watching but not reading The Princess Bride. It may be my kind of movie but definitely not my kind of book.